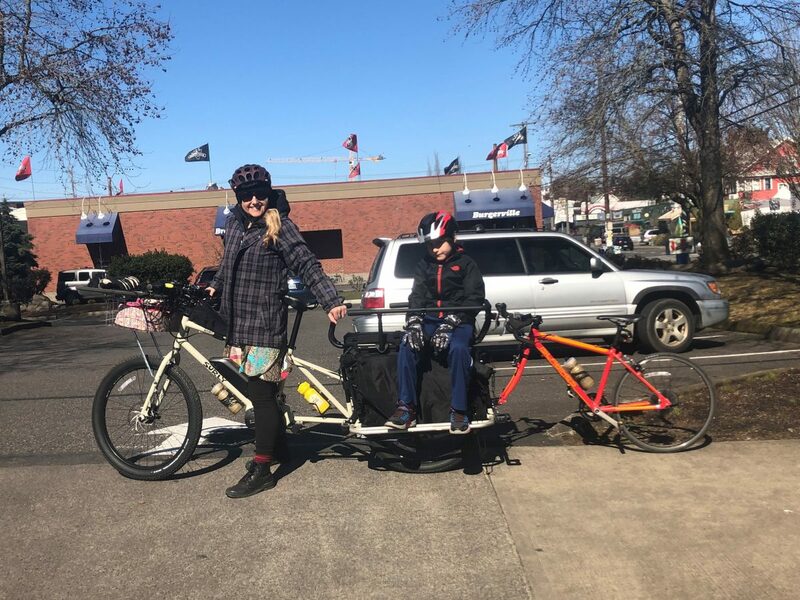 Madi Carlson (aka @familyride) began writing our Family Biking column in February 2018. She's the author of Urban Cycling: How to Get to Work, Save Money, and Use Your Bike for City Living (Mountaineers Books). 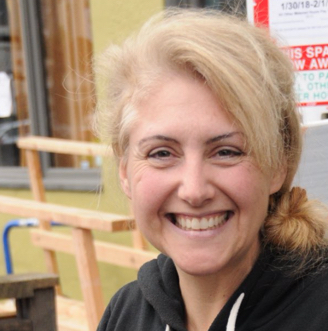 In her former home of Seattle, Madi was the Board President of Familybike Seattle, a non-profit organization dedicated to promoting bicycling as a means for moving towards sustainable lifestyles and communities. 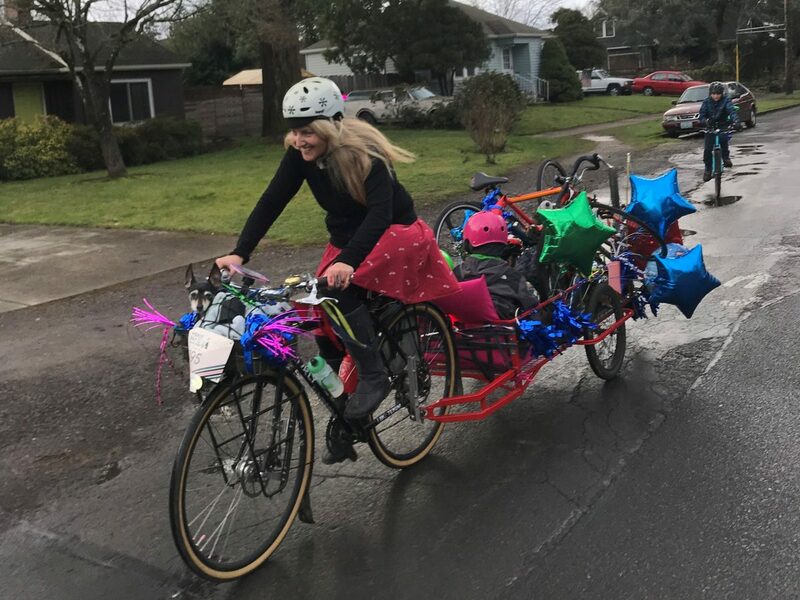 She founded Critical Lass Seattle, an easy social group ride for new and experienced bicyclists who identify as women and was the Director of Seattle's Kidical Mass organization, a monthly ride for families. While she primarily bikes for transportation, Madi also likes racing cyclocross, all-women alleycats, and the Disaster Relief Trials. 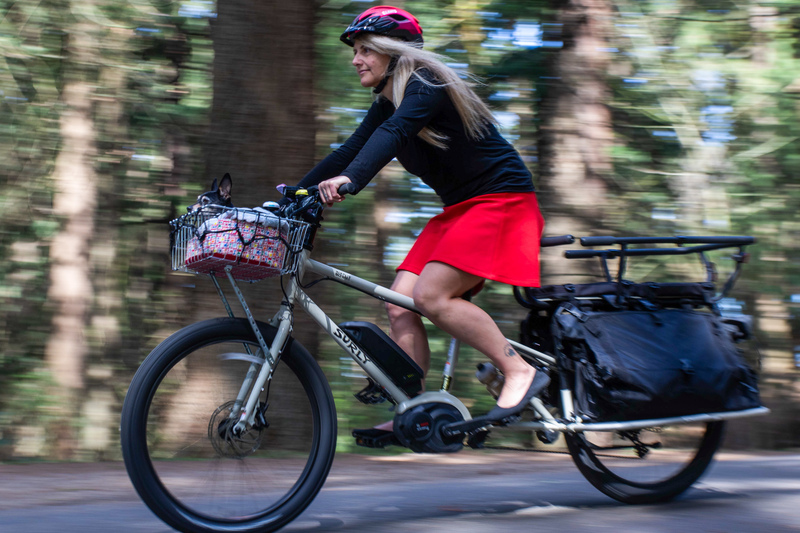 She has been profiled in the Associated Press, Outdoors NW magazine, CoolMom, and ParentMap, and she contributed to Everyday Bicycling by Elly Blue. Kidical Mass PDX Co-director Sara Cowling Davidson prepares to lead the ride. With the Easter bunny hopping onto the scene so has arrived biking season! 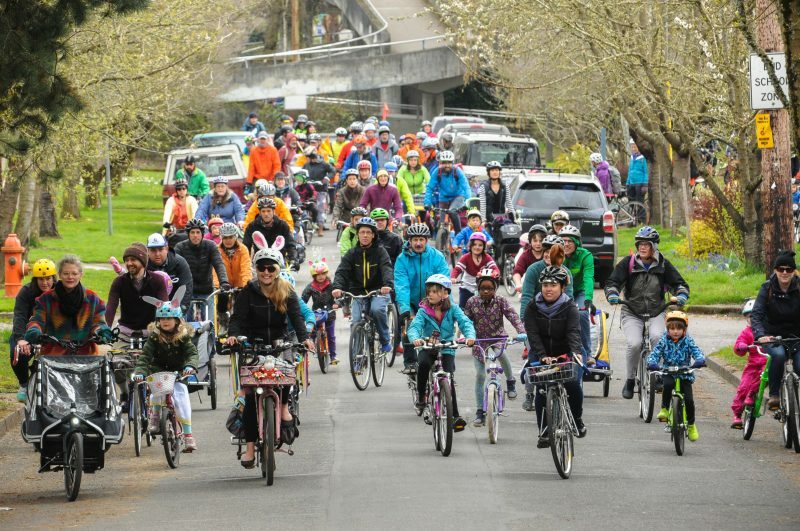 Like myself, you may feel that biking season never closed to begin with, but I still like celebrating the first big Kidical Mass PDX kids-of-all-ages family bike ride of the year on Easter. Also, with Pedalpalooza rides appearing hourly and Sunday Parkways details filtering in, bikey things really are picking up all of a sudden. We had such a great time last year! Let’s do it again. Visiting the cherry blossoms by bike on Sunday. 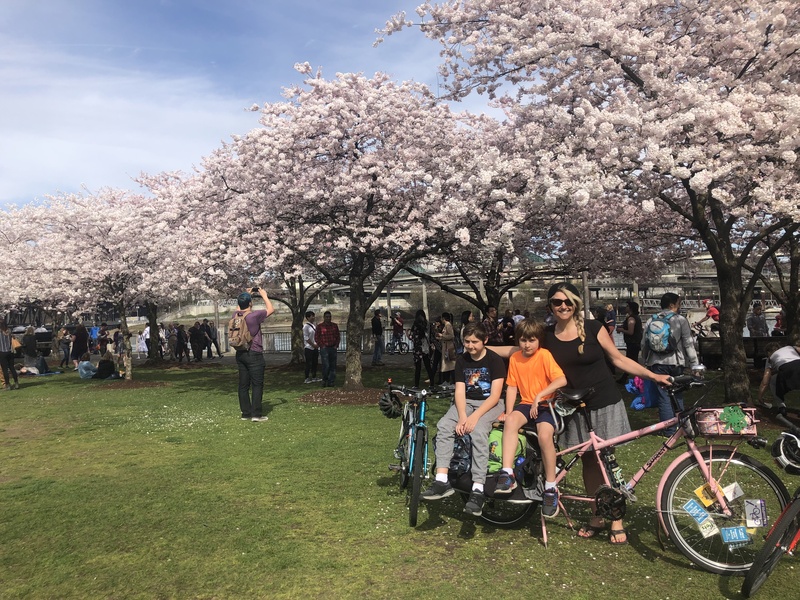 On Sunday, my boys and I had the same idea as a lot of other Portlanders: visit the cherry blossoms in the Japanese American Historical Plaza. Then while biking home I realized Waterfront Park is incredibly family-friendly to reach by bike from the deepish southeast these days. I usually dread posing for professional photos, but Jonathan insisted… and it was actually fun! 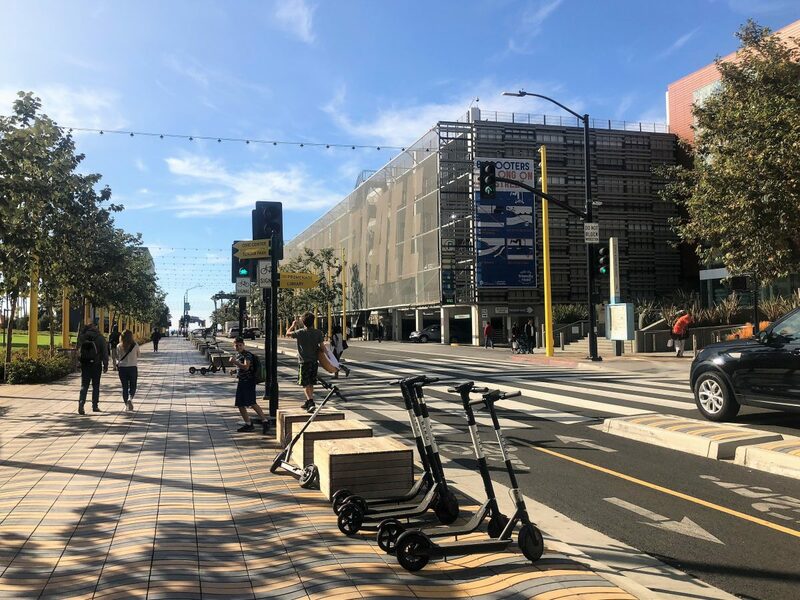 After sharing my initial impressions two weeks ago, I’m ready to share a full review of Surly’s new Big Easy electric cargo bike (retail price $5,000). Shout out to all the fair-weather family bikers! Rumor has it the gorgeous weather won’t last, but it’s lovely out right now and my kids’ bikes have lots of new company at the school bike racks. Have you ever excitedly greeted your dusty, neglected bike in the garage on the first nice day of the year only to find it has two flat tires? Fortunately your tires don’t need repairing — rubber is porous and as soon as you pump air back in, your bike will be ready to roll. Keeping the right amount of air in your tires is a relatively easy task, and it’s incredibly empowering to be able to keep your family’s fleet functional. Yeah, plenty of other things can go wrong with bikes, but flat tires are the most common woe. 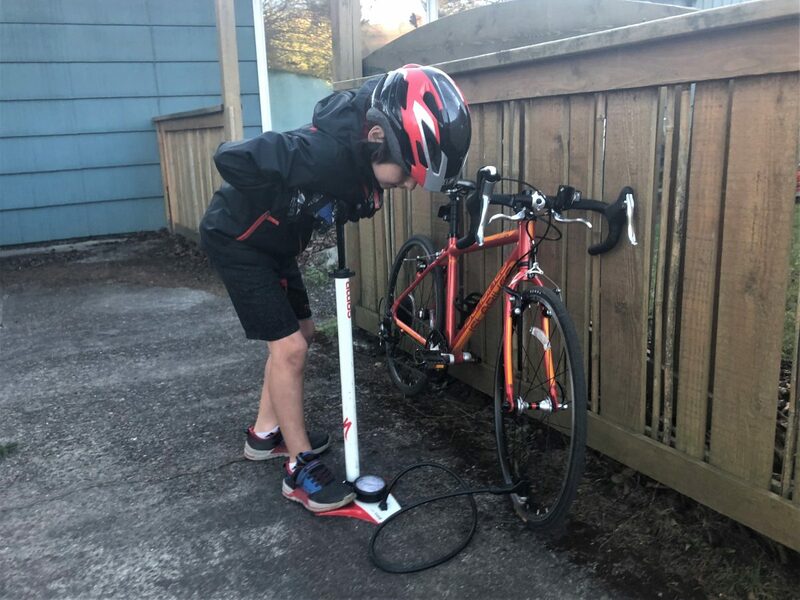 Plus, kids can help, and — if yours are like mine — they’re probably already familiar with your bike pump, having shot air into their mouths, noses, and down their pants. Pretty sure this is the first time I’ve smiled at the thought of carrying two kids and an extra bike up a hill. I’m borrowing a Surly Big Easy, the brand new e-assist version of my beloved Surly Big Dummy longtail cargo bike. It’s been with me for a week now and we’ve been having a lot of fun with it. I’ll keep it another week or two before giving it back to Surly and writing a full review. ➤ Biking up to the Zoo carrying a kid? ➤ Time 100 laps around Ladd Circle in Turbo mode? ➤ Carry 200 doughnuts from VooDoo to VooDoo 2 and see if they’re still warm upon arrival? Portland author and illustrator Alison Farrell will join us at Bike Shop Storytime this coming Sunday, March 10th. And please note: We’ve moved the remaining Storytime events from Mondays to Sundays to attract more little listeners. 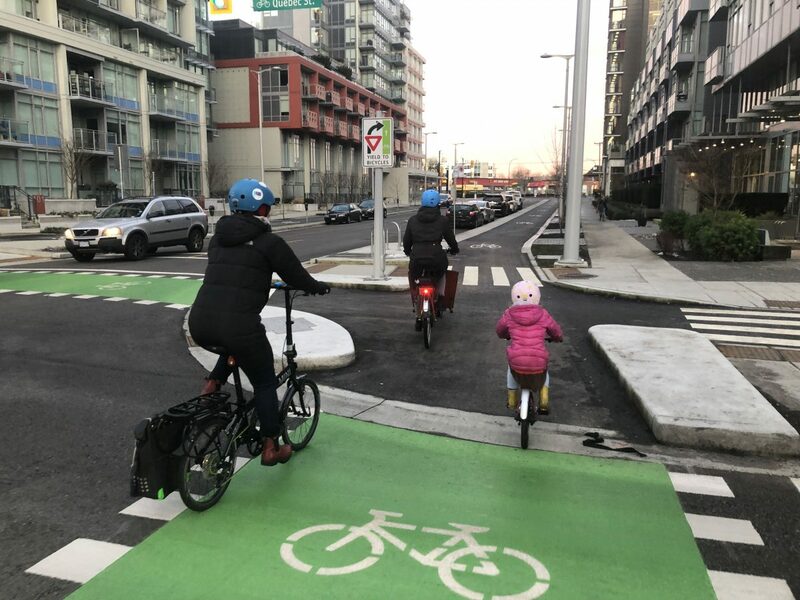 We’re also shifting from 10:30 a.m. to 11 a.m. We’ll probably keep it going beyond March, but check the BikePortland.org calendar or Kidical Mass PDX website for the latest event info. Alison will read read and offer signed copies of her amazing book, Cycle City. You might recall we profiled Alison last year. Cargo trailers make for easy decorating, and easy carrying of three kids and three bikes (one had a flat tire, two were tired). After having such a great time last year celebrating a friend’s 8th birthday on the Worst Day of the Year Ride, we had to do it again! In fact, it was so fun that our friend rescheduled his birthday by two weeks to work around the rescheduling of the event — that’s dedication!